An artistic, musical composition intended to match and compliment all things ZMF and beyond. 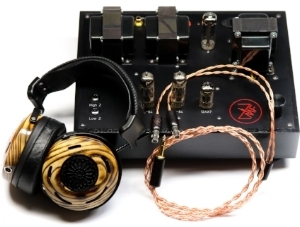 In 2016 we introduced our line of high impedance 300 ohm dynamic headphones. Now, with the Atticus, auteur and Eikon fulfilling our dynamic line-up, owners have found the importance of having the right amp paramount to getting the best, and most appropriate subjective sound from their ZMF's. With the Pendant, we have collaborated with ampsandsound, a manufacturer of high end boutique headphone and speaker amps, to create the perfect tube amp to drive ZMF dynamic, planar, or any other headphone in your collection. 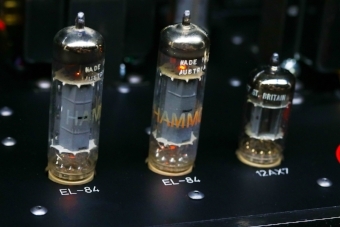 At ZMF we've always valued the holographic, sweet and nuanced sound of a great tube amp. There is simply nothing like taking in our favorite tracks with a perfectly constructed audio set-up, and doing so with the glow and sound of the ZMF Pendant is an experience like no other. Designed in collaboration with ampsandsound, Pendant matches perfectly with ZMFheadphones signature sound to create a holographic, punchy and detailed musical experiance. Featuring a dead quiet, completely silent background, you'll never have to worry about where you end up on the volume dial of Pendant. Music will flow out of the abyss into your head. Gain can also be adjusted by utilizing different 12au7, 12at7 or 12ax7 tubes. The Pendant delivers all the tone desired from a traditional tube amp while still providing the wattage needed to drive any headphone. With 3 watts from the Low-Z (8 ohm) out and 2.5 watts from the Hi-Z (300 ohm) out you won't need to look any further to power any headphone. Utilizing EL84 power tubes, a 12 ax/t/u 7 input tube, and a 6CA4 rectifier, Pendant can be tube rolled to the max. Get the amp with stock tubes and find your own favorite combo, or add on a complete set of ZMF's favorite vintage tubes at checkout.